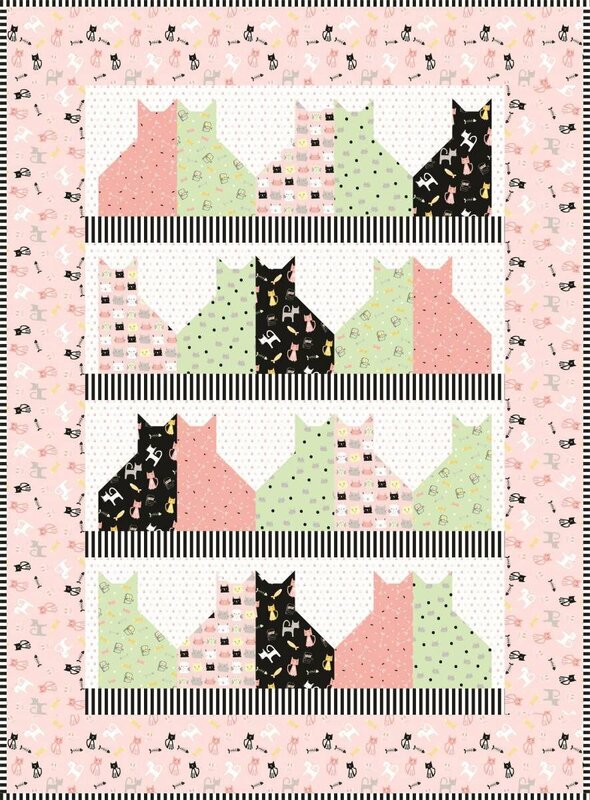 The Caty City Quilt Kit includes pattern and fabric for quilt top and binding. Backing not included. Fabric featured is Meow and Forever by My Mind's Eye. Pattern is by Villa Rosa Designs. Finished size is 45" x 61".